Patients needing a new hip will only be operated on if they are in so much pain they cannot sleep or carry out daily tasks under new NHS rationing plans. The Royal College of Surgeons said the restrictions were “alarming” and “arbitrary” - ignoring the extra costs from delaying treatment and prolonging pain. Vice-President Stephen Cannon said there was no clinical justification for drawing up rules which would force pensioners to endure increasing pain and misery amid a growing financial crisis. Three Clinical Commissioning Groups (CCGs) in the West Midlands have drawn up plans to dramatically cut the number of people who qualify for hip and knee replacements, in a bid to save £2m a year. The CCGs are aiming to cut the number of people who qualify for hip replacements by 12 per cent, with a 19 per cent drop in knee replacements. Mr Cannon said: “The CCGs’ policy decision to restrict access to NHS care, based on arbitrary pain and disability thresholds, is alarming. “It is another example of how the huge financial strains the NHS is currently under are directly affecting patients. It is right to look at alternatives to surgery but this decision should be based on surgical assessment, not financial pressures,” he said. The college said it was concerned that the latest policy was “just the tip of the iceberg” with rising numbers of areas limiting surgery to those most in pain. “Although the CCGs claim this will save them £2million a year, this overlooks the longer term impact on patients of delayed treatment, prolonged pain, and potentially higher costs of treatment. For example, patients affected by these changes may require additional pain relief medication, and may still require surgery further down the line, which may be more complex,” Mr Cannon said. 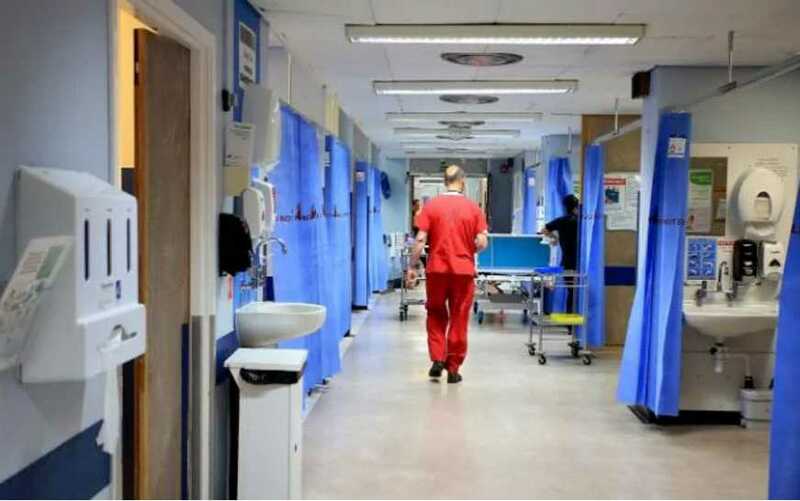 Board papers seen by Health Service Journal say a "patient's pain and disability should be sufficiently severe that it interferes with the patient's daily life and/or ability to sleep" in order for surgery to be funded. Those who are obese with a body mass index of 35 or over will be told they need to lose 10 per cent of their weight to be eligible for NHS hip or knee surgery, unless their joint problems are very severe. Redditch and Bromsgrove, South Worcestershire, and Wyre Forest CCGs are aiming to prevent about 350 operations a year, by drawing up new eligibility restrictions. But the Royal College of Surgeons said there is "no clinical justification" for their plans. The move is the latest in a round of cost-cutting by CCGs - with wide restrictions in access to treatments, drugs and fertility treatment. Mr Cannon said the scoring system used by the CCGs - known as the Oxford scoring system - were designed to measure outcomes of care "and should not be used to create barriers to care". "Such criteria are in explicit contravention of Nice and surgical commissioning guidance, and have no clinical justification in being applied to a general population to determine who gets NHS treatment. Last year the surgeon warned that increasing numbers of patients would be left to endure “crippling pain” as rationing spreads across the NHS. A spokeswoman from Redditch and Bromsgrove CCG said: “The CCG has reviewed the criteria for those patients requiring hip or knee replacement surgery. ”The Oxford scoring system is a guidance for clinicians and they recognise that many patients will benefit from physiotherapy and weight loss before considering surgery.